If you like road trips with plenty of adventure – especially things you can’t do at home. Tasmania has it all packed into a little island at the world’s edge. A compact island, with winding country roads, it’s ideal for touring. Whether you prefer to chill in urban eateries, laid-back bars and fearlessly confronting art museums, or retreat to an alpine lodge, beach shack or a secluded lakeside cabin. From the serenity and coastal landscapes of the east coast to the western wilderness, Tasmania is an island big on small touches with plenty to see and do, from tasting fresh food to mountain biking, sailing, kayaking, island festivals and bushwalking. Photo Credits: Western Wilds. Stu Gibson; Josef Chromy Tasmania. Rob Burnett; Overland Track, Barn Bluff. Emilie Ristevski; Mt Wellington, Hobart. Peter Topliss. There’s a lot packed into this island, and the best way to see it all is to jump in a car and hit the highways (and back roads). From Launceston and Hobart there are plenty of places you can explore in a day. From Hobart drive to the Tasman Peninsula to see the Port Arthur Historic Site. Explore the spectacular geological formations of the Tessellated Pavement, Tasman Arch and Tasman Blowhole in the Tasman National Park along the way. It’s only a short drive south from Hobart to the Huon Valley to sip handcrafted cider and pick out fresh fruit from roadside stalls or explore further south to Hastings Caves. From Launceston follow the coast-hugging road along the north-west coast for seriously dramatic vistas. Detour off the highway to small coastal towns to dip your toes in the water and before heading to the relaxed seaside town of Stanley. Stand at the ‘Edge of the World’ at Gardiners Point – where there’s nothing but 15,000km of open oceans between you and Patagonia. You can also reach Cradle Mountain in under two hours, take in the beauty of the mountain from the Dove Lake Circuit and be back in Launceston in time for a paddock-to-plate dinner at a top-notch restaurant. You’ll find delicious food all over Tassie, but the Cradle to Coast Tasting Trail is one for serious foodies. It’s a special thing being able to sample fresh produce while chatting to the people who grew it, raised it or produced it. You won’t go hungry on this trail. Slow down to island time, break up the drive over a few days or extend to a week or two. This way you’ll have more time to pull over and explore. Eating and drinking is one of life’s great pleasures - and when it comes to superb produce, Tasmania is a foodie paradise. Growing and preparing food is considered an act of love here – from tending and nurturing through to harvesting and cooking. Local producers give a piece of their heart when you indulge in Tasmanian produce – you can taste the passion in every mouthful. 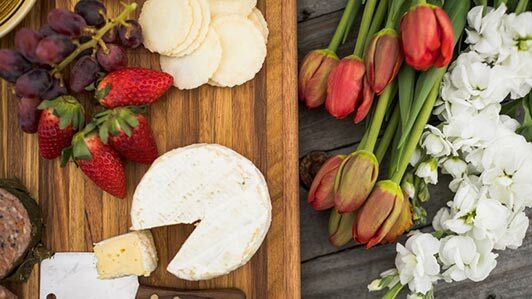 Create special memories and treat your senses as you explore every delicious corner of Tasmania – laugh, share, listen, discover and enjoy as you visit artisan cafes, farm gates and roadside stalls, historic pubs, orchards, cutting edge restaurants, vineyards, boutique breweries and distilleries. Island produce will nourish and revitalise you – and leave you wanting more. 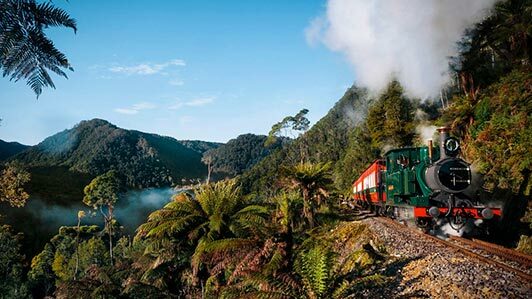 Head out on a roving food feast along the Cradle to Coast Tasting Trail in Tasmania’s north-west. Explore a whisky, beer, wine or cider lovers trail to taste Tasmania’s handcrafted drops at wineries, cider houses, breweries and distilleries across the island. Serious foodies will enjoy cooking schools, paddock-to-plate eateries, oyster farms, farm gates, providores and farm-to-market produce all over the island. The Great Eastern Drive promises a curving coastal drive along a blindingly beautiful coastline. Not a traffic jam in sight from Orford to the Bay of Fires. No alarms, no meetings only sneaky mid-morning wine tastings on the agenda, and with some of the freshest ocean-to-plate food around – no dieting. Speaking of those sneaky mid-morning wine tastings, the vineyards on the Great Eastern Drive give any Australian or European equivalent a run for their money. Grapes love it in these parts, long summer days creating intense flavours. Oysters in these parts are pulled from the pristine lagoons and are just about as salty as they get – an east coast signature flavour. Growing oysters in these clean environments makes these particular oysters some of the best in the world. 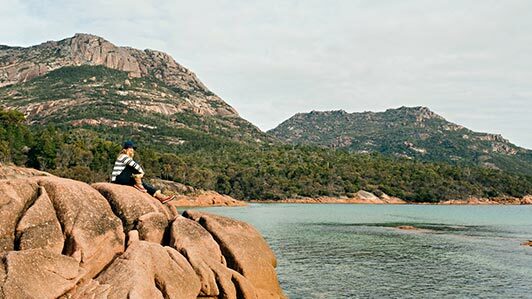 Lace up and walk off plump just-shucked oysters and fresh-from-the-water lobster along stretches of sandy and shell-strewn beaches, or climb the saddle of The Hazards mountain ranges to Wineglass Bay lookout. Your reward, postcard-perfect views across the bay. Imagine a journey all about you and everything you love: an adventurous road trip where the memories you create and the stories you hear are as much about the people you meet as the places you go. In the Western Wilds, that’s exactly what you get. 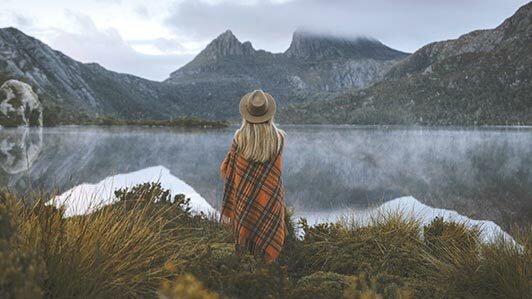 Whether you’re looking to breathe fresh air in the wilderness, head off on a rafting adventure on some of the world’s last truly wild rivers, reconnect off-grid with loved ones, or find something to inspire your creative soul, there’s something for everyone when you head west in Tasmania.